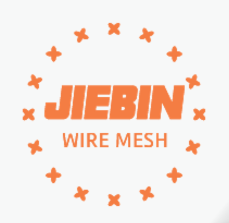 Jiebin is a professional Chain Link Fence manufacturer since 2002. Our monthly output is up to 300 Tons. We offering more than 35 countries of Vinyl Chain Link Fence with good reputation. If you are looking for the most secure way to protect your commercial property or business partner? You`ve come to the right place. We are the best supplier that you can trust in China. Chain Link Fencing also known as diamond Wire Mesh. There is Galvanized Chain Link Fence and Vinyl Chain Link Fence. The products after galvanized and Vinyl coated has a good looking and ability of rust resistance, easy to install and use. Plastic Chain Link Fence is by far the most popular choice for quality residential, commercial, and heavy duty industrial Security Fence applications. Color: Green, Dark green, Blue, Black, White (RAL Series) etc. Come to choose JIEBIE & share the success! Looking for ideal Vinyl Chain Link Manufacturer & supplier ? We have a wide selection at great prices to help you get creative. All the Vinyl Chain Link Fence are quality guaranteed. We are China Origin Factory of Chain Link Mesh Fencing. If you have any question, please feel free to contact us.